The telling of time is an ancient art steeped in tradition and culture, much of which is inherited, although others were created and adopted along the way. This is the foundation of the Swiss luxury watch industry, which appears to be a peculiar creature, especially for those of us who are not personally vested in it in some ways. The industry has been obsessed with timekeeping accuracy right from the start –a reasonable requirement if one were to call himself a respectable watchmaker, but especially so in the realm of fully mechanical watches. This obsession has never waned; on the contrary, it has evolved to completely new heights. Today, the Swiss watch industry is a multi-billion dollar business that invests a massive portion of its profits into R&D. The core goal is still to make a highly accurate product, albeit completely mechanical. Collaborations with specialists in the manipulation of materials such as carbon fiber and micro-technology, as well as industry giants like NASA and Formula 1, are common. While some of these may be attributed to marketing, one cannot deny the intellectual and scientific investments to improve a craft and skill set that are several hundreds of years old, entirely encapsulated in the surface area of a postage stamp. When we start to look at brands that exemplify this very characteristic, it doesn't take very much to start right at the top of the heap, the behemoth that is Rolex. Perhaps perceived by most of ‘gen-pop’ as old fashioned and ‘too-traditional’, Rolex is the single largest player in advanced technology within the Swiss Watch industry. The facilities at Rolex are completely world class, with no corners cut in any manner. For example, Rolex has a team of in-house chemical engineers dedicated entirely to the research of lubricants that will make their watches run smoother and for longer. This attitude is completely on-show with the current Rolex Day-Date 40, a model originally launched in 1956. In 2015, Rolex released the Day-Date 40; what may have been overlooked as a routine update to an evergreen model. However, under the hood, the new Day-Date carries a brand new in-house movement that not only boasts 14 new patents, but also has close to 90 per cent of all its parts completely redesigned or optimized. Central to this is a revolutionary new design of the escapement wheel, where years of research led to the changing of angle of a gear’s teeth to increase its energy efficiency. It is this sort of obsessive dedication that personifies Rolex. 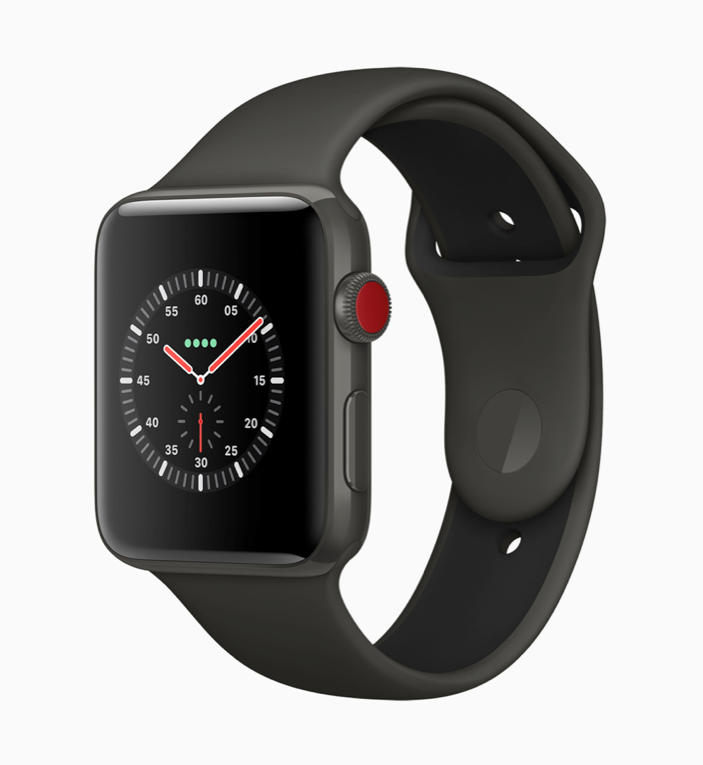 Adding several other minute improvements together allows the watch to now perform at a four-second variance over 24 hours, a massive improvement over the industry benchmark of 10 seconds over 24 hours. Another giant of the field, Patek Philippe, has established the Patek Philippe Advanced Research project in the beginning of the 2000s. Even with Patek Philippe’s long history of ground-breaking developments with mechanical complications, here, the designers and engineers are committed to the development and mastery of topics such as new materials, new manufacturing technologies and new conceptual fundamentals. 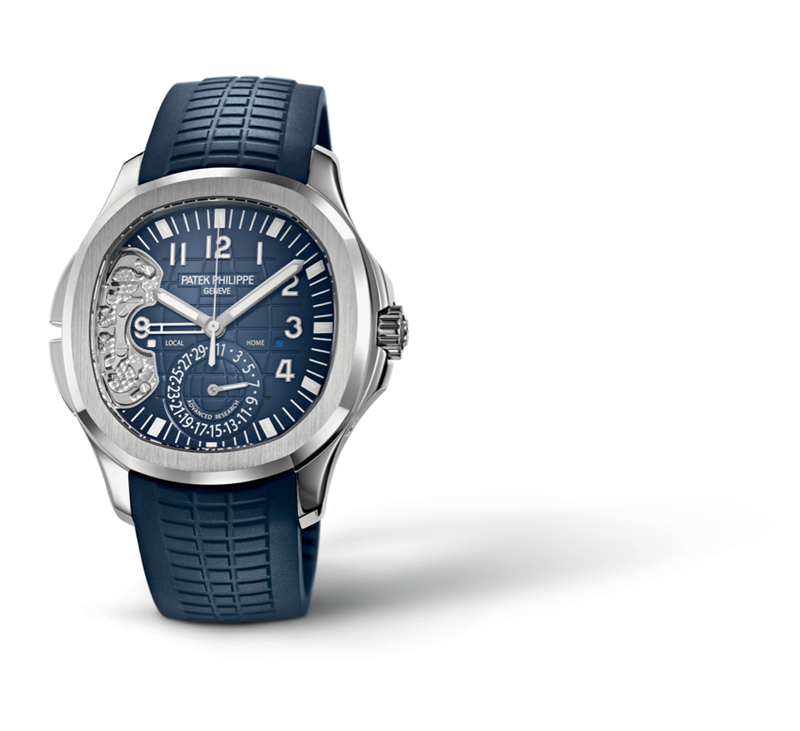 The most recent culmination is in the 2017 Aquanaut Travel Time, a dual time zone wristwatch that features two of such in-house developments. The first would be a new design to the inner coil of the silicon Spiromax balance spring. 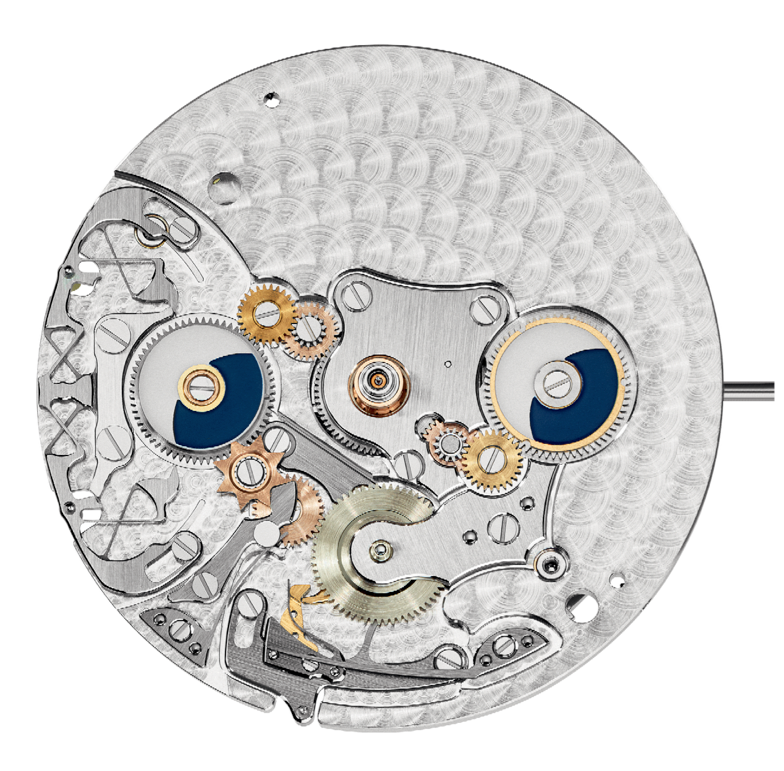 Sometimes referred to as the ‘heart’ of the movement, the regular contraction and expansion of the balance spring is integral to the entire timekeeping accuracy of the movement, and all related functions. Needless to say, any improvement possible to the balance spring has effects that are multiplied ten-fold on the final performance. The second ‘Advanced Research’ technological inclusion is a unique solution to negate the need for gears, pivots and additional lubrication for the controls to adjust the GMT hour hand indicator forwards and backwards. 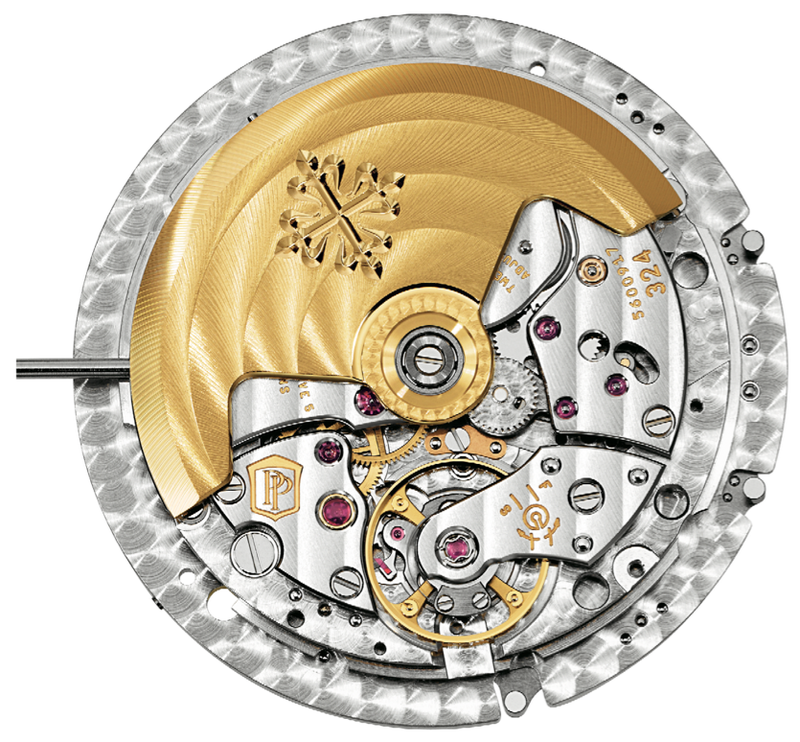 Manipulating the inherent elasticity of the metals used for the button pushers, Patek’s engineers have reduced the parts count by more than half, and eliminated a majority of moving parts, thereby also severely reducing the possibility of parts failure and wear. 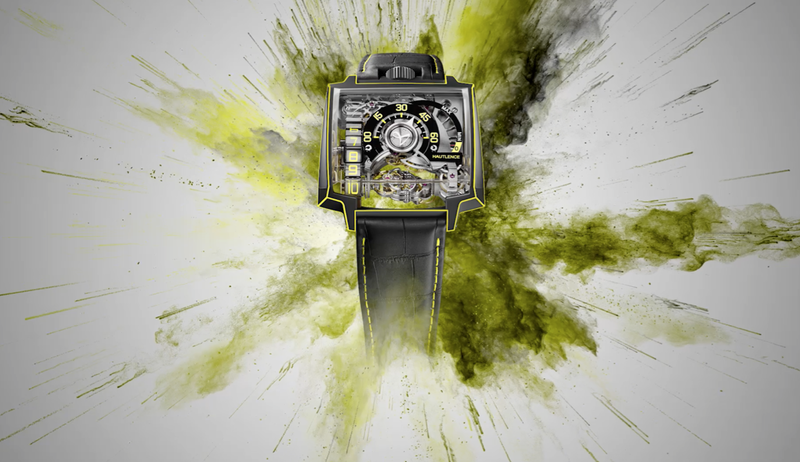 A couple of new players to the scene, but no less revolutionary, are HYT and Hautlence. While still very much mechanical wristwatch manufacturers, their vision of aesthetics and the paradigm of time telling is completely non-traditional. With HYT, we have a young company dedicated to the utilization of fluids in mechanical wristwatch in a completely non-conformist approach. 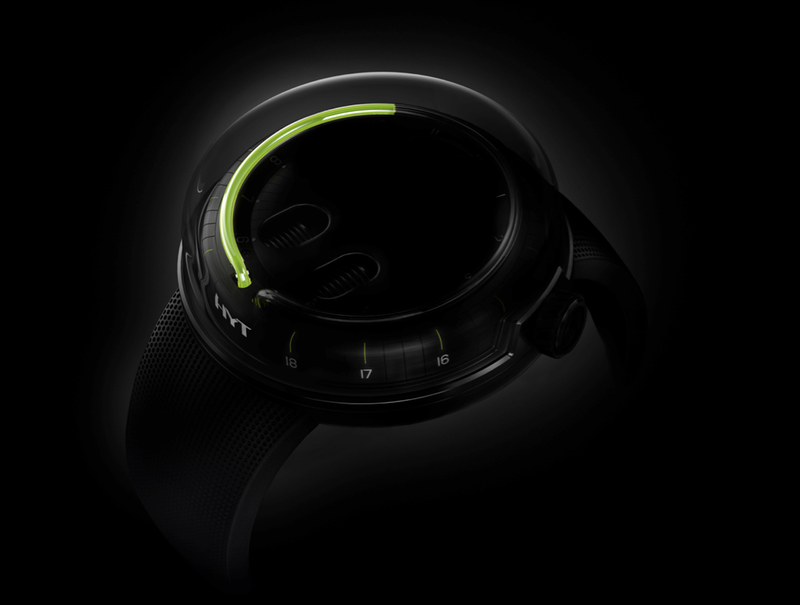 The HYT H0 is a watch that eschews the traditional three-hand format and replaces the hour hand with a concentric display filled with a two liquids within a capillary — one coloured, and one transparent. The fluid travels around the circumference of the dial, in a surreal and captivating path, giving the impression that it is levitating. At the six o’clock position, the fluid moves backwards, returning to its original position, making this a modern version of a traditional ‘retrograde’. 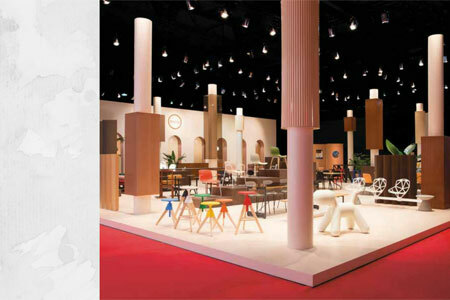 A groundbreaking new concept, the display system is as unique as it is complex to realize, offering a new perspective on how to read and interact with both time and space. 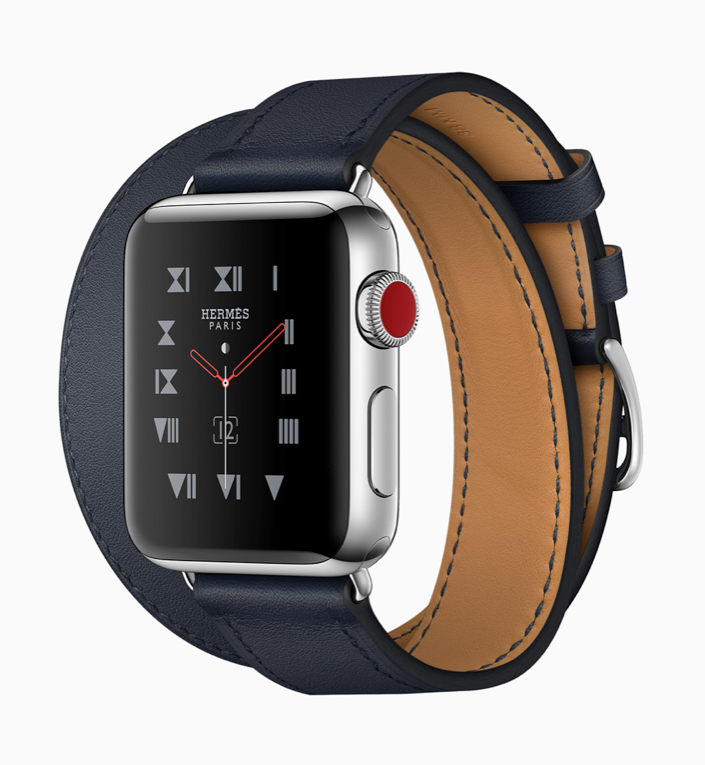 Amazingly, all this is contained within a completely mechanical manual-wound caliber with a hulking 65-hour power reserve. No batteries or computers at all. Hautlence takes the somewhat middle ground in this, keeping to a ‘normal’ mechanical movement. However, they have taken the concept apart completely and created an entirely new and unique movement so distant from the industry norm that you cannot imagine anyone copying them anytime soon easily. One of their core in-house movements, the HL2.0 does away with the age-old concentric movement design and goes into an angular execution. The hour hand is replaced with a 12-link chain hinged on a pallet system. A speed regulator ensures that the hours display changes in a controlled, jerk-free manner. 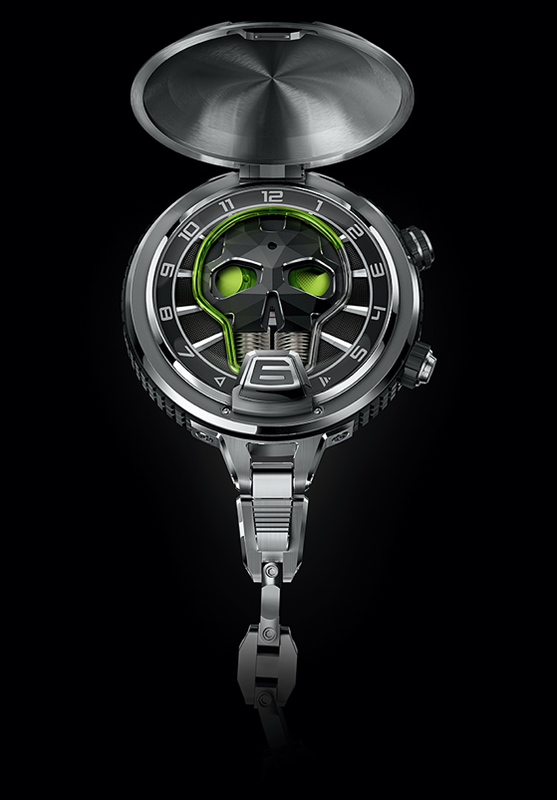 Fully automatic, the caliber is powered by an 18-carat white gold oscillating weight. Carrying three Hautlence patents, the HL2.0 is used in the brand new Vortex Gamma range of watches, which features a revolutionary composite body material that is four-times lighter than titanium, and can be finished in any color on the Pantone spectrum. The same HL.20 calibre is also used in watches designed in collaboration with brand ambassador and iconic footballer Eric Cantona. The Swiss watch industry is not deaf to the recent explosion of smart watches, and a handful of notable brands have developed their own collaborative efforts with Google. Certain high fashion brands have also begun to partner and provide accessories for the Apple iWatch, too. 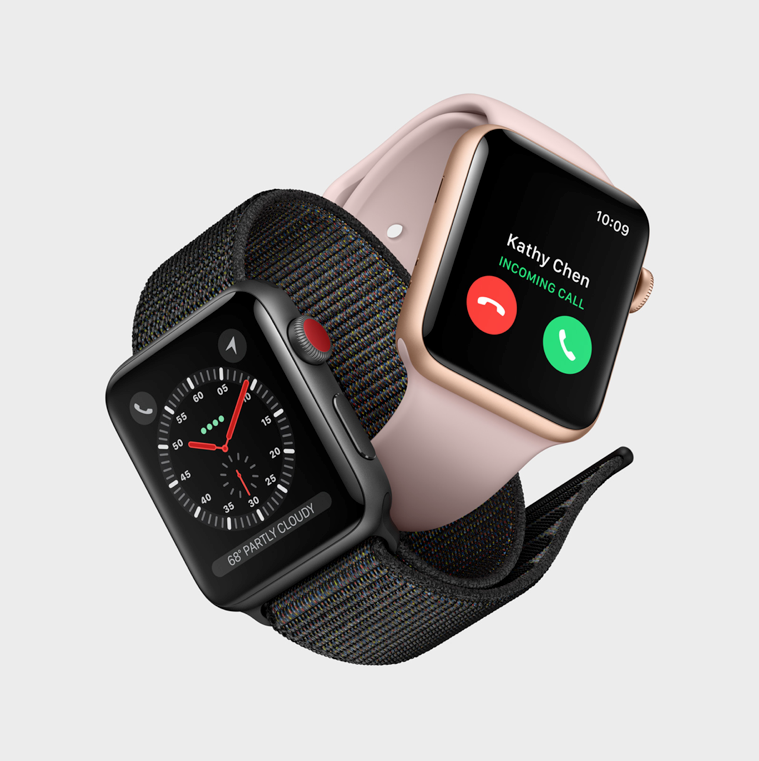 So while there is no completely Swiss smart watch yet, the brands are keeping an eye on developments and a proverbial foot in the door. 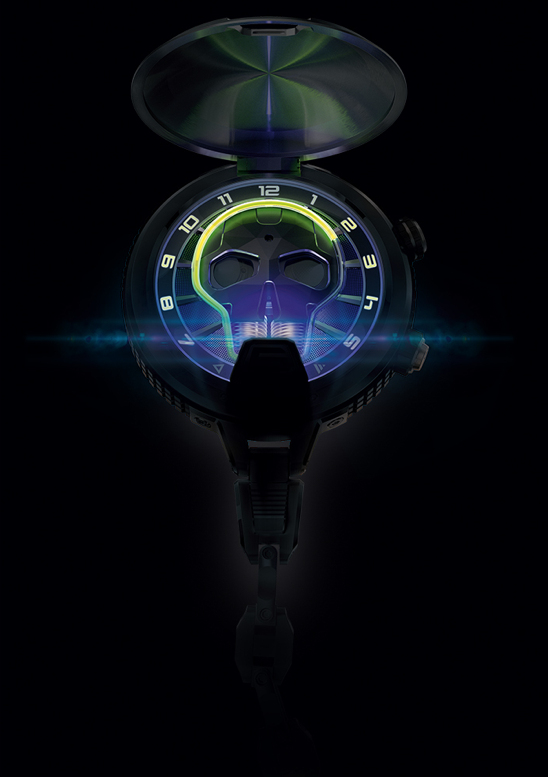 Despite this, some observers have predicted the death of the mechanical watch, stating a lack of technology, features and functions in recent outputs. The Swiss would be quick to refute this with examples of their constant innovation, as well as the survival through the ‘quartz crisis’ of the ‘70s and ‘80s. As long as the obsession with quality and precision burns strong, and a value proposition remains, there is no doubt that quality luxury Swiss watches will continue to be in demand. An appreciation for fine craftsmanship and beautiful design will exist forever, regardless of how quickly technology unfolds in the rest of our daily lives. At the end of the day, a Rolex may not have wifi, be able to send text messages, track my investment portfolio, or have an integrated Siri function, but that’s perfectly fine – that’s what my phone is for. All one needs his wristwatch to do is to tell the time well. And that's the beauty of it.